The south-eastern state of North Carolina stretches from the heights of the Appalachian Mountains in the west to the narrow, sand-spit beaches along the Atlantic coast. In between there are, literally, thousands of farms - especially pig farms! - as well as cities with cutting-edge, hi-tech industries. So it's a state of contrasts, and the best places to stay in North Carolina let you choose which type of locale you prefer. If you want a city-based holiday, Raleigh offers a range of state museums including the North Carolina Museum of Art - from ancient Greek to contemporary, plus a sculpture trail - and North Carolina Museum of Natural Sciences. 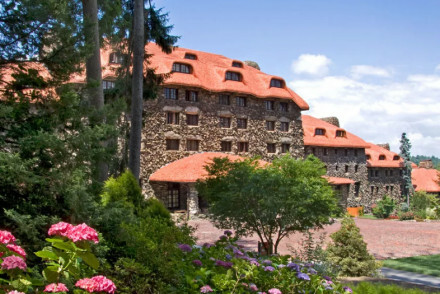 At Asheville, you'll find Biltmore Estate, the magnificent mansion and gardens built in 1895 for shipping and railroad heir George Washington Vanderbilt ll. He - modestly - decided to base the design on a combination of several grand, European chateaux. And if you yearn for a bit of action, head to Charlotte, the state's largest city, to the National Association for Stock Car Auto Racing where you can test your skills - and your nerves - in a race car simulator. Or see how quick you can react as a member of a pit crew. Durham is where to stay for visitors to Duke University - one of the country's top academic and research campuses - and it also boasts a great basketball team and lively scene. Greensboro is a good base for all the family in the centre of North Carolina. It's easily accessible and offers a wide range of attractions for all ages from amusement parks to art galleries. After that, you might crave some peace and solitude. You can find these on some of the beaches that run down the 300-mile-long coastline. Many are delightfully underdeveloped and un-resorty offering beach towns with a relaxed, family-geared vibe; nothing flashy. If you want real solitude, head to the Outer Banks, a series of windswept, barrier islands - more like sandbars - separated from the mainland by lagoons and waterways, and linked by bridges and ferries. On Ocracoke Island, you might spot wild ponies as well as fishermen hauling in their catches of shrimps and oysters. Several lighthouses are open to the public and offer spectacular views, or head to Jockey's Ridge State Park to climb the coast's highest sand dune. Don't miss the Wright Brothers National Memorial where a boulder marks the spot where the remarkable Wilbur and Orville Wright launched the world's first air flight (all of 12 seconds) in December 1903. A drive down Highway 12, which links many of the Outer Banks islands, is a must. In the far west of the state there are equally stunning scenic routes through the Appalachian Mountains. Cloaked in hemlock, pine and oak trees, the mountains are cool and refreshing with an air that positively fizzes with energy. Here you can hike, climb, go rafting, fly-fishing or try and spot deer, black bears, owls and cougars. In Mount Mitchell State Park, you can hike - or drive - to the top of the highest mountain east of the Mississippi. And if you like sport, what better night out than watching the Duke Blue Devils hammer it out with the Carolina Tar Heels on the basketball court. Barbecued ribs at the ready! 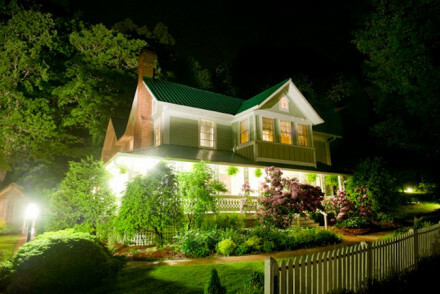 Our choice of the best places to stay in North Carolina will get you started. Overlooking the beach, Sanderling Resort offers the best mix of luxury and ocean-side tranquillity. As well as a spa, there are three pools and four restaurants to choose from, and the night skies are wonderfully clear. 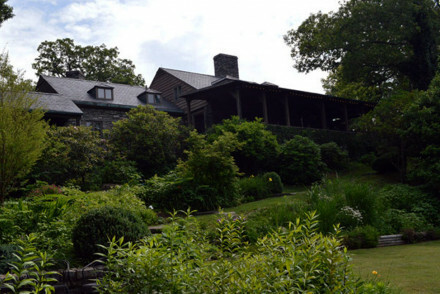 With stunning views of the Blue Ridge Mountains, the 10-room Gideon Ridge Inn offers the perfect hideaway. Rooms mix contemporary furnishings with original features plus there’s a dining terrace for romantic dinners from the gourmet restaurant. Equally romantic, The Swag, on Smoky Mountain, offers above-the-clouds, hidden views. Rooms are cosy and rustic, some with hot tubs on private balconies. 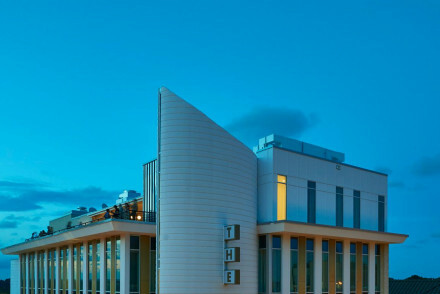 Both contemporary-art museum and hotel, the 21C Museum Hotel in Durham mixes contemporary styling with the building’s art-deco design. There’s also a spa, steam room and swanky bar. 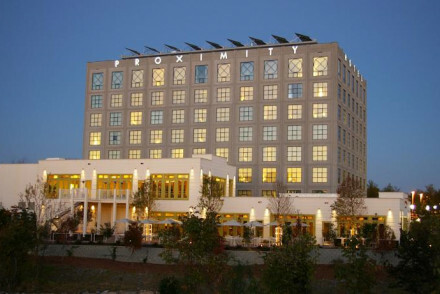 The stylish, environmentally friendly Proximity Hotel in Greensboro works for families and couples as well as business guests offering large, loft-like rooms, fantastic city views, gym and outdoor pool. There are complimentary bicycles to borrow to explore the city plus there’s a charming courtyard for relaxing with drinks before dinner in the Print Works Bistro. 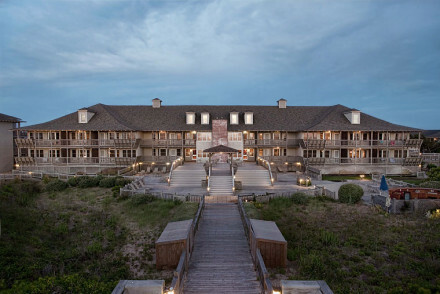 For more choices, browse our full list of the best places to stay in North Carolina, or contact a friendly guru for advice. Welcoming guests since early 1800s this mountain boutique is something of an institution. The historic elements and southern hospitality create a unique atmosphere, with cozy rooms, modern facilities, flickering fireplaces and stunning views. Creative, award-winning dishes for all guests. Local markets - Ashe County Cheese is North Carolina’s oldest cheese plant. Natural beauty and ocean meet at this luxury resort. Contemporary rooms are comfortable with all the expected luxuries. Rejuvenate in the Spa, plenty of unique treatments on offer. With four restaurants and three pools to tempt you, be sure to make time for some epic star gazing at night. Surfing - Surf lessons for the whole family, or check out the new craze - Stand Up Paddleboards. Birdwatching - The Pine Island Sanctuary is home to more than 170 bird species. Sailing - Nor'Banks Sailing offers rentals or lessons. A trendy boutique hotel set in downtown Durham, whose design nods to the thriving cultural scene with original touches and emphasis on local arts and crafts. The restaurant headed by an award-winning chef draws on local produce, while the rooftop bar offers stunning city views. A secluded mountain hideaway. Rooms feature open fireplaces, 100% cotton Frette sheeting, feather down pillows and plush bathrobes which leave you feeling pampered. French doors lead out to stone terraces with sweeping views of the Blue Ridge Mountains. The gourmet restaurant is second to none. Great walks - Short scenic walk includes views of Grandfather Mountain, Table Rock, and Hawksbill. Back to Nature - Secluded setting with spectacular walks and views. Restrictions on children - Children over 12 years welcome. A European-style hotel in the mountains that offers gourmet meals and adventures for all. Luxurious, comfortable rooms in natural tones with soak tubs and fine linens. Chef Chris Huerta is a whizz in the kitchen, whipping up gourmet and innovative dishes. Relax at the spa, play golf or explore. Great walks - The Wild Food Foraging Adventure is all about learning what you can and can't eat in the wilderness. Sights nearby - Explore the waterfalls all around. 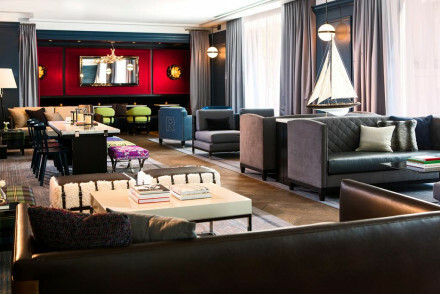 A boutique hotel with an integrated contemporary art museum located in a gorgeous 19th century building with an art-deco feel. Bedrooms have a smart, contemporary look with chic designer furniture. Relax in the swanky hotel bar or explore this lively little neighbourhood. A cool and collected Art Deco masterpiece in Winston Salem's newly revived downtown. Simple and comfortable rooms and suites with subtle design features and in room yoga mats. 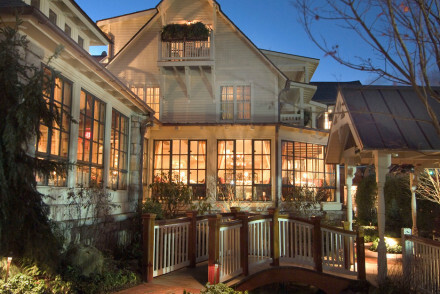 The restaurant is a refined French affair with a lively atmosphere, and the games room features a 2-story spiral slide. 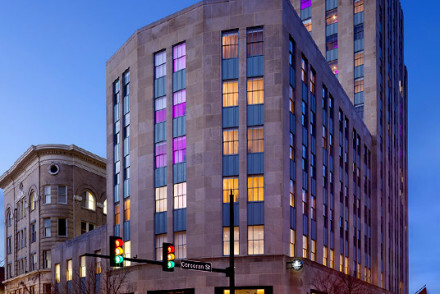 Whether it be business or leisure that brings you to Greensboro, be sure to check out this chic and stylish contemporary hotel. Large rooms are cleverly designed with sustainability in mind. Guests have access to a gym & outdoor pool. Print Works Bistro is all about local, freshly made fare. Great walks - Great paths for jogging and walks in the Greenway. 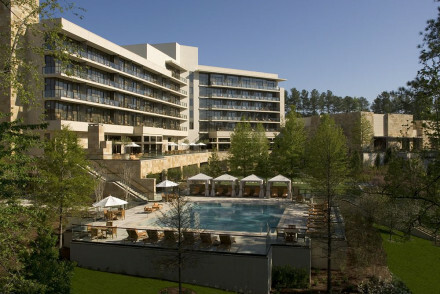 Luxury abounds at this excellent, modern five-star hotel in North Carolina. Consistently stylish and comfortable from the premium room to the presidential suite, it ensures optimal relaxation for guests. Something to suit all tastes from hiking trails to reclining in the extensive spa. Spa breaks - With a deluxe inhouse spa, it's perfect for a weekend spa break. Great walks - Go walking along the nearby pine tree trails. 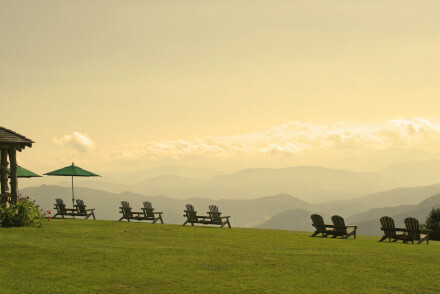 Historic and extraordinary landmark hotel in the hills of North Carolina, with fabulous views. Belted Galloway cows in the picturesque garden welcome you to the luxury boutique hotel with spa treatments for days. Large, light rooms with all the mod-cons and comfort expected of a spa-hideaway. Inventive menu and local produce at the restaurant with a fully stocked bar. Relax, explore, unwind. Sights nearby - Check what is on at the Carolina Performing Arts during your stays - music, theatre and dance. Great walks - Walk around Coker Arboretum at the university for 5 acres of manicured gardens. Fishing - Head to Jordan Lake. Smoky Mountain retreat 5,000 feet above the clouds is the true meaning of a romantic hideaway. A private hot tub on your balcony adds to the experience here. 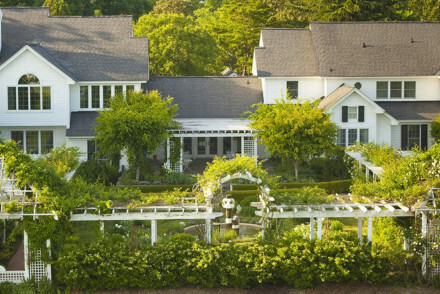 Hunger doesn't feature with seasonally-inspired picnics, gourmet dining and al fresco setting. Location and views are spectacular! Hideaway - Above the clouds, stunning views and a notable absense of TVs. Birdwatching - Hummingbirds can be seen from the comfort of the porch. Great walks - Nature Trail is a two mile stroll around the grounds. Sights nearby - Explore the Biltmore Estate close by.